Construction: The pattern is knit top-down, with only minimal finishing. The sleeves are knit in the round. This pattern offers two variations in length and 6 sizes. 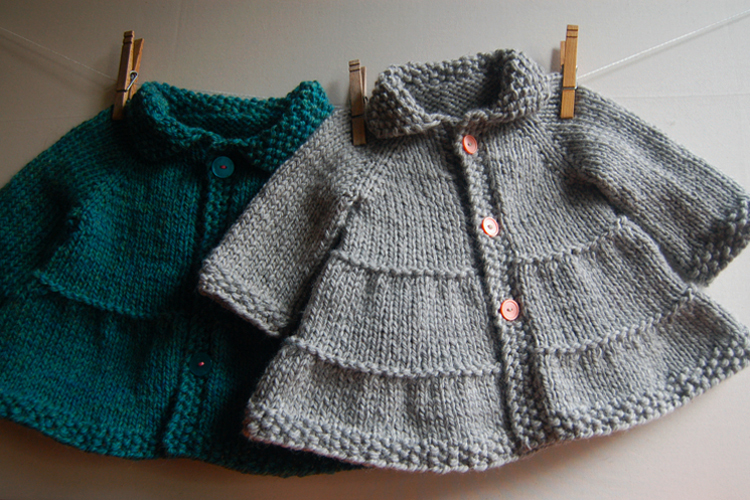 How about knitting an adorable and warm little coat for the baby or toddler in your life? Or a cute little jacket? Or both! 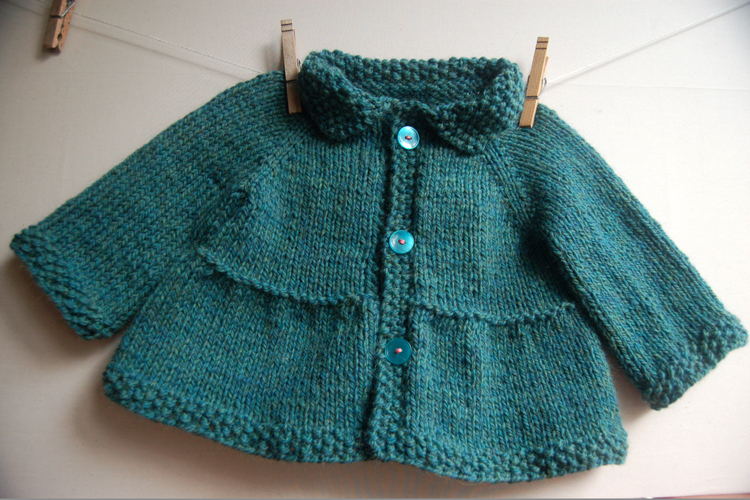 A very quick, easy and enjoyable knit that produces stylish results with a hint of nostalgia. Finished garment chest circumference: 19 (19.5, 21, 22.5, 24, 24.5) inches or 48 (49.5, 53.5, 57.5, 61, 62.5) cm.